On Wednesday 18th October, 2018 Queensland MPs voted to scrap laws making abortion illegal meaning that Queensland women will now be able to choose to have an abortion without risking criminal prosecution. Firstly, that is great news. It is a personal decision and choice that any women should be able to make for herself. However, was I alone in being shocked to find out that this wasn’t legal in Queensland? I assumed abortion was legal and allowed in the year 2018. Why wouldn’t it be? We are not living in dark ages, we are living in a time where women are afforded the same rights as men and are key to many households and relationships. Why do a bunch of politicians have the right to tell me what I can or cannot do with MY body. It is MY body, MY life, MY choice! 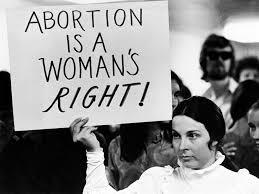 I have never had an abortion personally but I do know women that have and I have always supported them in that choice. I have always been a pro-choice girl. I believe every woman should make choices that are right for her and her life. And no one, NO ONE, no one has the right to tell you what you can do with your own body. What gives you the right to tell me what to do with my body? Whether you agree with abortion or not, surely you can agree that is a choice that a woman should be able to make herself. https://childfreehappilyeverafter.com.au/wp-content/uploads/2018/10/abortion.jpg 194 259 Tanya Williams http://childfreehappilyeverafter.com.au/wp-content/uploads/2018/08/173465.ba2cf34f29fac3b72cc14b2877984e59.jpeg Tanya Williams2018-10-20 07:45:592018-10-20 07:45:59Who has the right?